Yesterday we wrote about Twitter’s interest in building up its platform as a place for businesses and brands to manage customer care, and today Twitter unveiled some of the early features of that effort. At its Flight developer conference, the company showed how it was working with Fabric and Gnip to help businesses run customer services over Twitter. Early users include hotel chain Hilton. Several features were unveiled today. First of all, businesses can use the Fabric developer platform to link up a customer’s phone number or Twitter credentials to that customer’s account with that business. You do this in the CRM backend, but then when the customer service rep sees the user on Twitter via an enterprise client, it will automatically link the two. 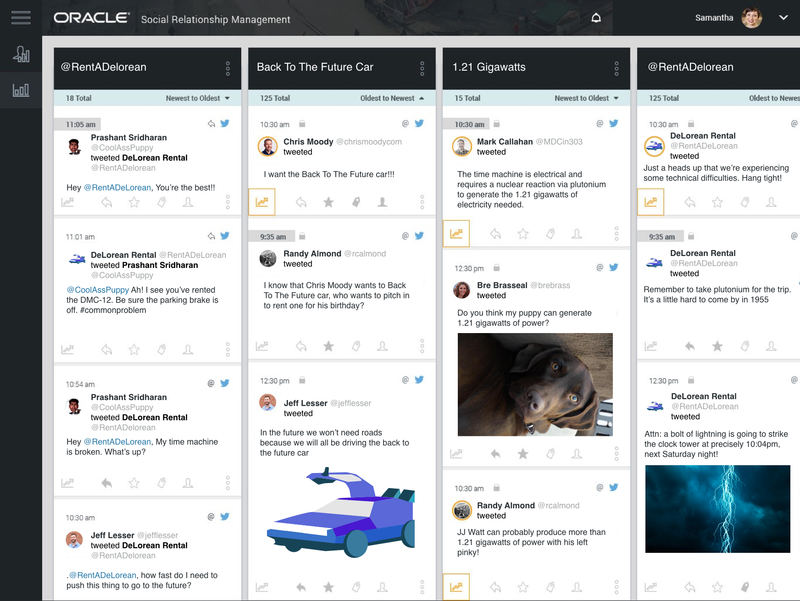 Twitter is showing off how it works with Oracle, one of the company’s early partners, for its customer care effort. This will then follow through to how companies are able to track users’ interactions with their brand over Twitter, a thread of tweets that can better indicate whether the customer is having a persistent problem, or whatever other history there may be. The other area that is getting turned on today is something Twitter refers to as “single-tweet resolutions” — essentially because a user’s Twitter account will be linked up with their customer account, the customer service rep will be able to see that customer’s purchase history and offer much more direct and specific advice over Twitter in response to questions. Twitter — with its fast-paced, real-time news stream and ability to send Tweets to any other account (except for those that make the effort block you) — all but dominates customer services on social media. The company says it about 80% of all requests come through its platform. Chris Moody, who runs Twitter’s Gnip division, told TechCrunch in an interview that there are several benefits for businesses running customer service through Twitter. One is the basic ability to facilitate customer service to have the potential to work more easily and efficiently than older, legacy services like 1-800 numbers. Moody claims that it’s one-sixth the cost to run these services on Twitter compared to other legacy channels. The other is the fact that for Twitter, it’s a way of getting closer to these businesses as clients, who might then choose to turn to Twitter for other things, like their marketing activities.